Beware MU students with surnames like Date, More, Gore, Kale, Waghmare, or words that also mean something in English. It’s probably usual and advisable to factor in the chances of your school/college goofing up your name in your degree, especially if you are admitted to a government-run university. At least, you can expect little spelling mistakes, right? 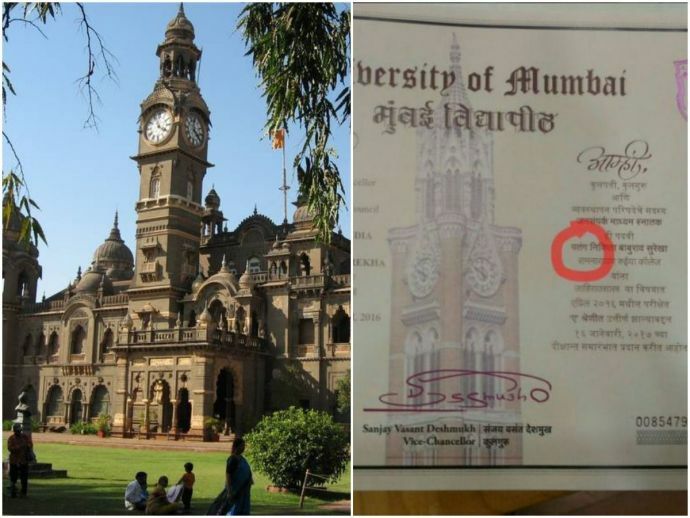 But, in this case, the University of Mumbai made an exasperating error when the name of a student Nikita Kite (pronounced kee-tay) was mistakenly changed to ‘Patang Nikita’ in her degree certificate of Bachelor of Mass Media from the Ramnarain Ruia college at Matunga. Instead of the actual surname (i.e. 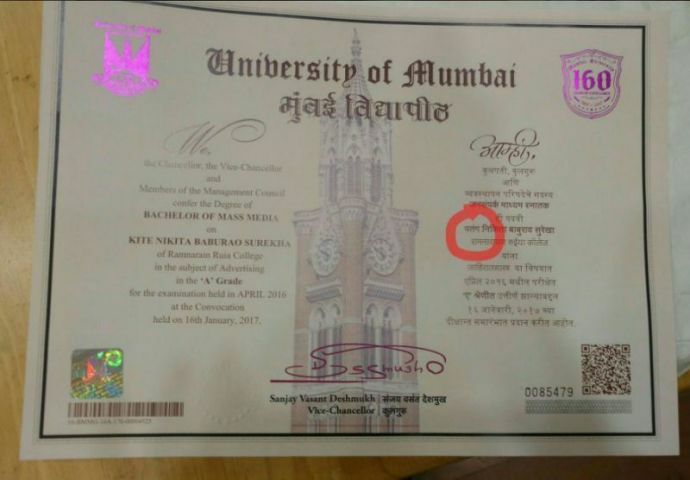 Kite), the Devanagari script on the degree certificate bears the literal Marathi translation of her surname. Though, the English script correctly displays her name as Kite, the Devanagari script has ‘Patang’ in its place. This is not the only time the university has made such blunders, there have been more such errors. The principal of Ramnarain Ruia college, Suhas Pednekar said that two of the college’s graduating students have found blunders in their degree certificates. “The only error is that their names have been misspelt, changing the meaning of their names altogether. We have informed the university and are hoping to get fresh copies of the certificates soon,” Mr Pednekar said.